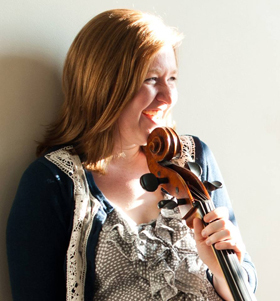 One of my great enduring struggles as a cellist has been the traditional music stand. Yes, it holds my music very well, but it also creates a giant blockade. 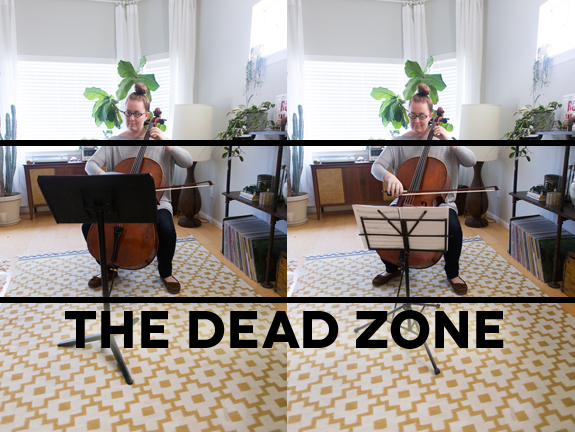 Meet the Dead Zone. I hate the dead zone. 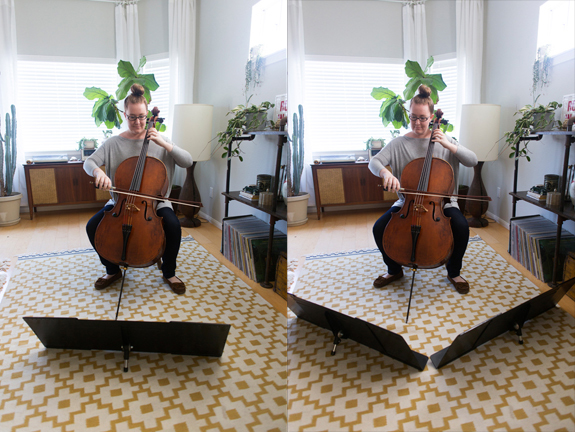 It visually (and to a lesser extent acoustically) blocks all of the most interesting sounds the cello can make! 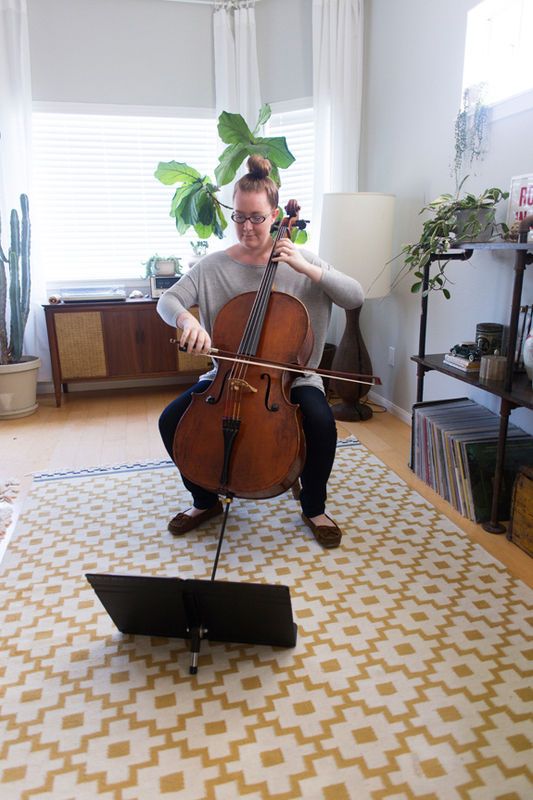 So while learning Lachenmann's Pression, which specifically requires the cellist/cello to be visible, I began a quest for the perfect low music stand. And I found it. Pictured above is a Manhasset Table Top Stand, which, it just so happens, also works very well on the floor. The stand is stable, looks nice, and is completely unobtrusive. 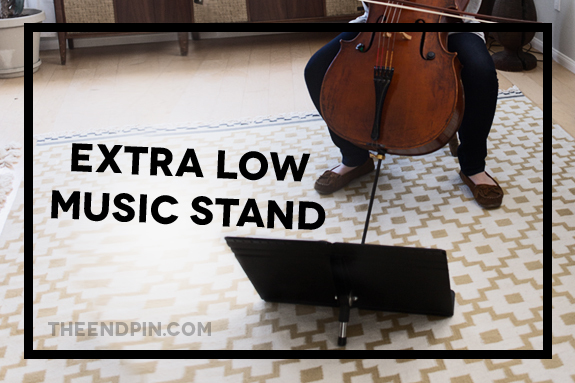 But if you add Stand-Out stand extenders, you should have no problem fitting your music without needing page turns. With extenders, you can easily fit 8 pages of music (probably more if you consider your page size carefully). When collapsed, two stands with their extenders fit in carry-on luggage and can be held with one hand. All together the two stands and extenders will run you about $90. There are cheaper options out there, but I haven't found anything that's as durable, nice looking, and easy to transport.